The sequel to DEAD MAN’S LAND won’t be out until January 2014, but this is a short article about Elveden/Thetford Forest in Suffolk, where much of the action takes place. It might seem a long way from the trenches of Flanders, but there is a definite connection. 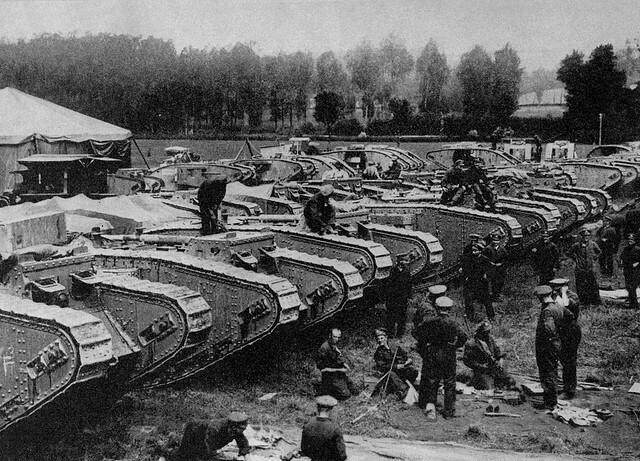 What links the Koh-i-noor diamond, Ireland’s black gold, the first armoured tanks, onions, and one of the most extensive and well-used forest parks in England? The answer is the Elveden Hall Estate – currently owned by Lord Iveagh of the Guinness family – which is made up of 10,000 acres of farmland as well as 12,500 acres of heathland and woods (plus a well-hidden Center Parcs) which sits right next to Thetford Forest Park recreational area, where you can walk, ride or even Segway the trails (or zip wire through the canopy). Whether you like the great outdoors, locally grown produce with minimum food miles under its belt or fascinating local history, it’s a great spot for a weekend. WHERE WILL I BE SLEEPING? The Elveden Inn (01842-890876, elvedeninn.com), which is owned by the estate, was once a dark, poky country pub, but has recently been sympathetically expanded, adding a conservatory and a large outside terrace. It has just four rooms (with two more planned), which follow a familiar boutique-ish vernacular– oversized leather bedheads, dark wooden furniture, crisp white bed linen, and clean simple lines. Nothing innovative, but streets ahead of the fusty décor that most pubs and hotels in the area offer. The staff is young, friendly and efficient, children and dogs are welcome and, for obvious reasons, it pours an excellent pint of Guinness. WHAT’S FOR DINNER? Superior pub grub, from home-made pasty with seasonal farm vegetables from the estate (£11.95), local venison with rabbit rosti and cabbage (£13.95), Haddock in Guinness (of course) batter (£11.95), plus good filling ploughman’s at lunchtime (£10.50). Although vegetarians might struggle a little (only two choices on the mains), under-tens are very well catered for, with a main course (pasta, Suffolk ham and egg, mini-burger etc, with chips or jacket potato and baked beans or veg or salad), a fruit drink and ice cream for £6.95. There’s a Beer & Bands Festival 14-16th June, with guest ales and ciders and live music. WHAT ELSE TO DO: Get out into the forest. For riders, Forest Park Riding and Livery Centre (01842-815517) at Santon Downham in nearby Brandon offers hacks along lovely bridle paths, taking in the pine trees, but also stands of sycamore, chestnut and oak, as well as crossing heather-rich heathland, from £20 per hour. At High Lodge Forest Centre (01842 815434, forestry.gov.uk/highlodge, parking charges £1.90 per hour to £10 for five hours plus) there are activity trails for kids (giant swinging tyres, ropeways etc. ), orienteering trails, you can hire mountain bikes (£7.50 first hour, £3.50 subsequent hours, includes helmets; kids £6/£2.50), over-10s can take out an all-terrain Segway (£25 per hour), or swing or zip-wire through the canopy, all with Go Ape (goape.co.uk, 10-17 years olds £20, 18 and over £30 for 2-3 hours in the tree tops; there is a new junior course for 6-12s, £15). History buffs might want to explore why nearby Thetford and the Eleveden church are pilgrimage sites for Sikhs – in 1860 the British wrested control of the Punjab from the young Maharajah Duleep Singh, who was just eleven. As part of the war booty, he had to hand over the legendary Koh-i-noor diamond (now part of the crown jewels and valued at £80m). 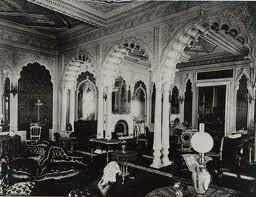 He was also exiled from India and given Elveden Hall, which he converted into an astonishing Maharaja’s palace. It became one of the great shooting estates of the country, frequented by royalty and nobility. Now empty, it is currently being (slowly) restored by Lord Iveagh, whose family bought the estate after Singh’s death (and allowed the land to be used for secret testing of the first tanks in 1916). You can glimpse the house from the churchyard of St Andrew and St Patrick Church on the A11, which is where Duleep Singh is buried (along with his wife and his son Albert). A walking trail and driving route around Thetford (see explorethetford.co.uk) takes in the Ancient House Museum (a 15th century merchant’s dwelling), a dramatic statue of the Maharajah on peaceful Butten island, as well as sites further afield associated with the man. Even if you can’t see Singh’s country seat, you can buy the estate’s produce (especially its onions, pickled and otherwise, of which it produces a great deal, and locally reared and wild meats) from the excellent farm shop, which come with a decent if pricey café attached. It also puts on events in the nearby walled gardens – a mini-crufts Dog Day on Saturday July 14 and outdoor theatre on August 17th & 18th and, on September 7th, the return of the Big Onion food festival (where there’s more to eat than onions – cookery demos, food stalls/stands and live music). There is also free spectating of cycling events through the estate, a sort of Tour de Thetford (Saturday Jun 8 & 29th). See elveden.com for all details. Rooms at Elveden Inn (01842-890876, elvedeninn.com) cost from £105 B&B. This entry was posted in Books, Food, Travel on May 27, 2013 by Robert Ryan. Just finished Dead Mans Land, fantastic read.The plot kept me guessing until the end.As an ex QA was keen to see how you handled the hospital scenes , well done. I loved your Dr. Watson and Mrs Gregson. I wonder will we have more of them and Inspector Gregson! I shall look forward to reading the sequel. Living in Suffolk and knowing the area I shall be intrigued to know how you are going to weave the story. Bye the way great food at the Estate shop.